Barnes and Noble hasn’t given up on its Nook tablets—quite the contrary, in fact. Last month, the bookseller debuted its biggest Android reading tablet yet, a $ 129, 10.1-inch slab with room for up to 256GB of storage. And today, Barnes and Noble came out with another, much more affordable tablet: an updated version of its two-year-old, 7-inch Nook that costs only $ 49. In addition, the tablet has Wi-Fi and Bluetooth support, front- and rear-facing cameras (the former being a VGA camera and the latter being a 2MP shooter), and up to seven hours of battery life on a single charge. It’s certainly not the most capable Android tablet, but at $ 49, it’s one of the most affordable available. Barnes and Noble has a wider variety of Nook Android tablets now that give users access to its e-bookstore and its Goodreads-like community app called the Browsery. The company may be hoping to undercut Amazon and Kobo on price: Kindles start at $ 79, while Kobo e-readers start at $ 119. 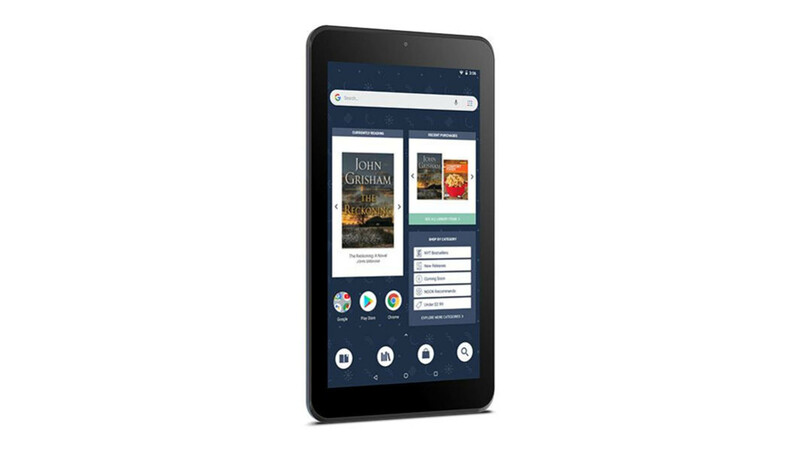 While Kindles can hit $ 49 at certain points throughout the year, Barnes and Noble may be able to attract users who want a low-cost Android tablet that can serve as both an e-reader and a portal to the Google Play Store.